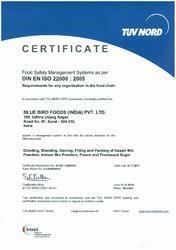 Established in the year 1992, Blue Bird Foods (India) Pvt Ltd is a reckoned organization betrothed in offering a highly effective Food Products, suitable for Food Additives, Desert Mixes,Processed Sugar, Beverages Products, Nutritional Flours and Catering Industries where microbial contamination is to be prevented so that these do not get spoiled and result in loss or food poisoning. We provide full assurance for effective customer support along with technical support. All our unrivaled quality products are available at very affordable prices. Our cutting-edge tools, technology and machinery enable us to process and check our offered products as per the principles of quality laid down by the food industry. 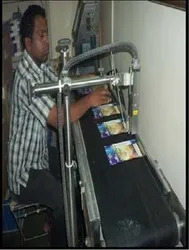 Additionally, to carry out all the processes in a hassle free manner, we have hired a skilled and dedicated team of professionals who are well versed with the knowledge and expertise in this field.Understanding the value for money and our client’s need, we offer extra care to our production and distribution process. Moreover, our rigorous and superior hygiene control procedures have further added to the credibility of our products. We are exporting our quality products in USA, Canada, Australia, Africa and UK. Our Director, Mr. Manish Shah, has helped us in attaining a remarkable position in this domain, by following customer centric approach and ethical business practices. Through our qualitative approach we have been able to customize our food products as per the specifications given by our clients. Our diverse variety of products provides our customers with several options to choose from. 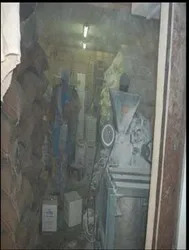 Also our efficient transportation and packaging facilities added with other hassle free services help us to earn appreciation and expand our client base from both domestic and international market. As we are a quality oriented organization, so our prime focus is to deliver a quality approved collection of Food Additives, Desert Mixes and Beverages Products. The ingredients of the food products are visually examined with micro tests to avoid dangerous contaminants and health hazards. We also ensure that all products are safe & hygienic and do not hold any health risk for the end user. Several samples are taken to ensure that the foreign matter is left behind. Our exclusive range of food items include: additives, dessert mixes, processed sugar, drinking chocolate, flour and sugar free products. Our food products are enriched with unique features that distinguish us from the rest. The constant efforts of our team comprising of food experts, quality controllers and research & developers, leave no stone unturned in interpreting the continuous & unique requirements of our clients. Our manpower is well versed with the technology and other requirements that help us in creating a wide range of tasty and hygienic products. Moreover, these professionals work in close coordination with each other to complete the given assignment within the stipulated period of time.